Are you feeling the yuletide rush? Still looking for that unique gift idea? My Pope Philippines’ December issue offers you a treat that’s enough to make you feel warm and fuzzy inside, the good way. 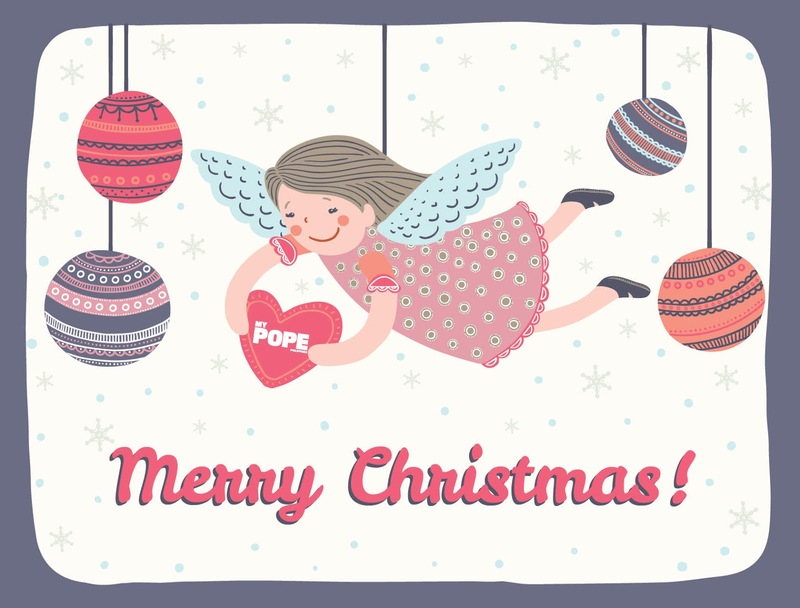 As it’s the holiday season, My Pope gives away, My Pope Kids and the limited edition, My Pope Christmas post cards all for FREE. Collect all 2 designs perfect as Christmas giveaways for your family, friends and love ones. Have a glimpse of the Vatican’s holiday decorations over the past few years, as well as yummy Christmas recipes from Lolo Kiko’s days as a cardinal. 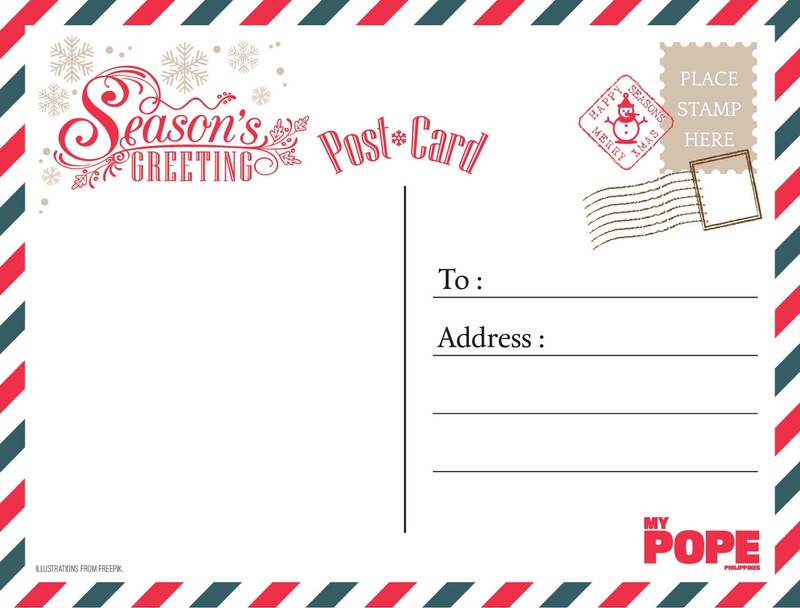 This issue, brings you Pope’s advice for a more meaningful holiday and 12 other gifts that you can offer your loved ones this Christmas. Take a look at My Pope’s tips for fun and stress-free gatherings from all the reunions you will probably have this holidays. And as the year ends, it give stories of hope and inspiration like the generous St. Nick who is the basis for today’s Santa Claus. For more exciting treat, My Pope Kids debut issue are specially made for children ages 8-12 years old. It’s a supplement that provides tips for parents on how to deal with children which were inspired by Pope Francis and some professional psychologists vice versa. At the same time, it consists of fun games, puzzles, illustrations, funny stories and letter making to Pope Francis that kids will surely love. Lastly, it includes articles that will teach children to be a better person and develop their goodness as they grow old. 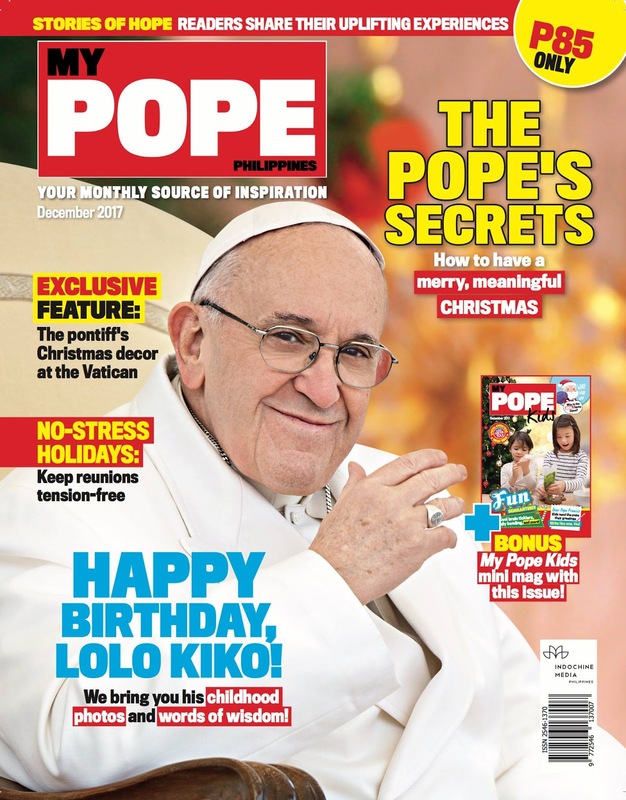 My Pope Philippines magazine, special Christmas Bundle Treat will be available last week of November 27 on all National book stores, 7 Eleven and partner newsstands nationwide for only P85 per copy. For more information, you may text/ call: (+63) 917 711-1818 or email at subscription@mypope.com.ph. You may also check out their official social media pages- MY POPE PHILIPPINES. Like MY POPE PHILIPPINES on Facebook & follow on Instagram and remember to always use the hashtag- #mypopeph. From My Pope Philippines, wish you a joyful and Merry Christmas! Enjoy reading and always remember to “give the gift of My Pope".